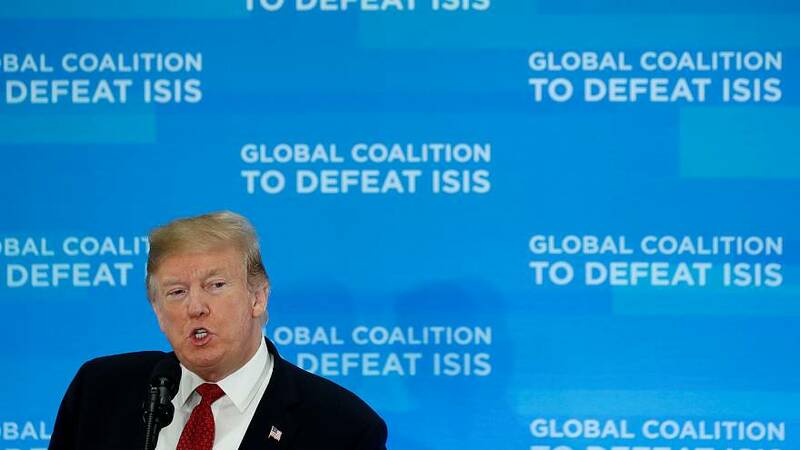 US President Donald Trump said that he expected a formal announcement as early as next week that the territory held by the so-called Islamic State group had been completely liberated. Officials were told the news at a Washington meeting of the Global Coalition to Defeat ISIS. "The United States military, our coalition partners and the Syrian Democratic Forces have liberated virtually all of the territory previously held by ISIS in Syria and Iraq. It should be formally announced sometime, probably next week that we will have 100% of the caliphate," Trump said. “Their land is gone. It’s a big factor - their land is gone,” he added. Back in December, Trump shocked coalition allies when he announced he was withdrawing all troops from Syria because the US had "defeated ISIS” there. Former Lieutenant colonel Daniel L. Davis told Good Morning Europe that it was premature to say that so-called Islamic State has been eradicated from Iraq and Syria. “Military forces can go in and take territory from a force that's holding it and they have successfully done that, but, what we can’t do is we can't defeat an ideology because that’s an idea of the mind or it’s a political issue, you can’t defeat a political idea with military forces,” Davis added.